What a great place to live... "The Brownstones" gated community. 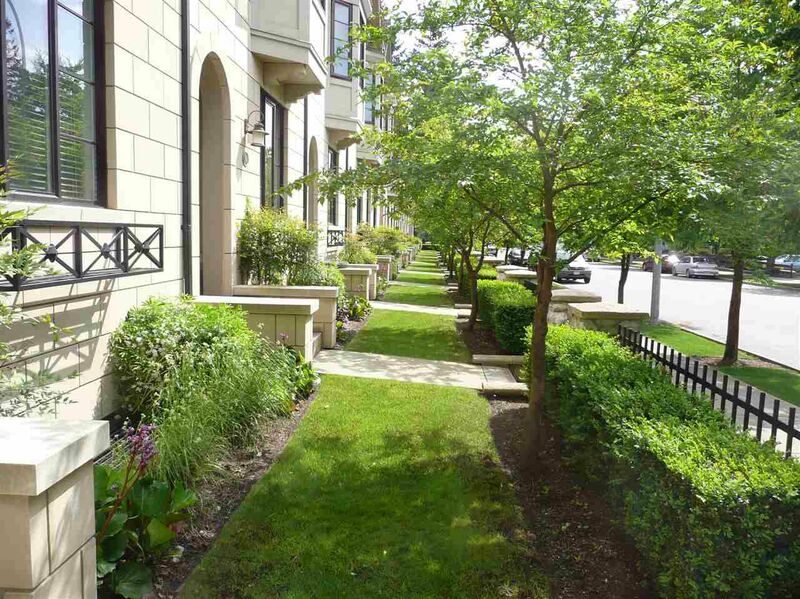 This 3 bdrm 3 bthrm townhome offers open concept living, perfect for entertaining. For the chef: a gourmet kitchen by Old World Kitchens featuring a Viking Stainless Steel appliance package w/gas stove. Enjoy the spa like Ensuite w/handset and heated limestone flooring. There are 10' ceilings on the main, 9' ceilings up. Other features include wide plank wood flooring, A/C, B/I vac, B/I speakers, security system, gas f/place, BBQ outlet and much more! Side by Side Double Garage (parking for 4) Fabulous central location. a short stroll to grab a latte, pick up fresh produce, visit the library or enjoy exhibits at the Reach Gallery. Call now for your personal tour.